This is a fabulous smokey tomato dressing inspired by the relatively new cookbook Prune by celebrated NYC restauranteur Gabrielle Hamilton. Love the book. Love her attitude. And love her smokey dressing. She smokes her tomatoes in a smoker which most of us don’t have. So I’ve modified the recipe using smoked sun-dried tomatoes which I can get at the farmers’ market – and if you soak them in olive oil and then use the olive oil, you get an extra-smokey-bang-for-your-buck. I also substituted tomato juice for homemade tomato passata from last summer’s tomatoes. 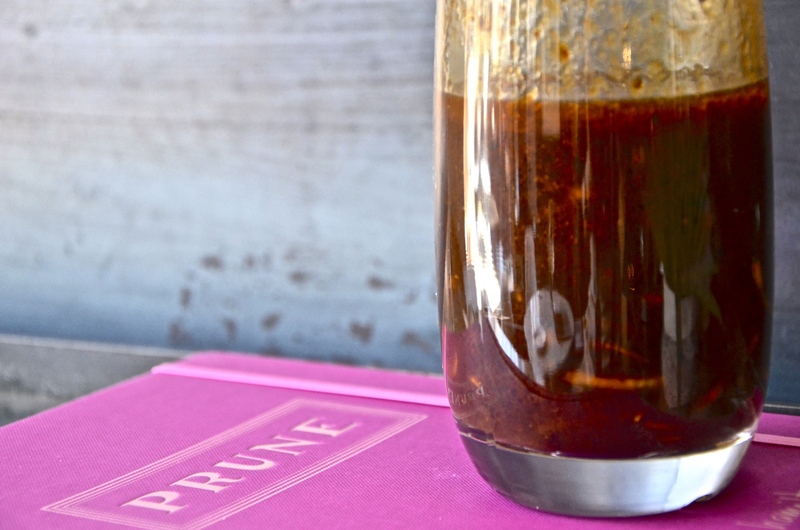 I don’t know what Prune’s tastes like but if it’s as good as my made-up re-do, your greens will be screaming for more. Toss the shallots with a few pinches of salt in stainless steel bowl. Use your fingers to break up the rings and let the salt briefly tame their bite. Put sun-dried tomatoes, olive oil and passata in a blender and blend until smooth. Transfer tomato mixture from the blender to a mixing bowl. With a spoon, stir together tomato mixture, vinegars, and lemon juice. Season with a good dose of black pepper and a careful bit of sea salt. 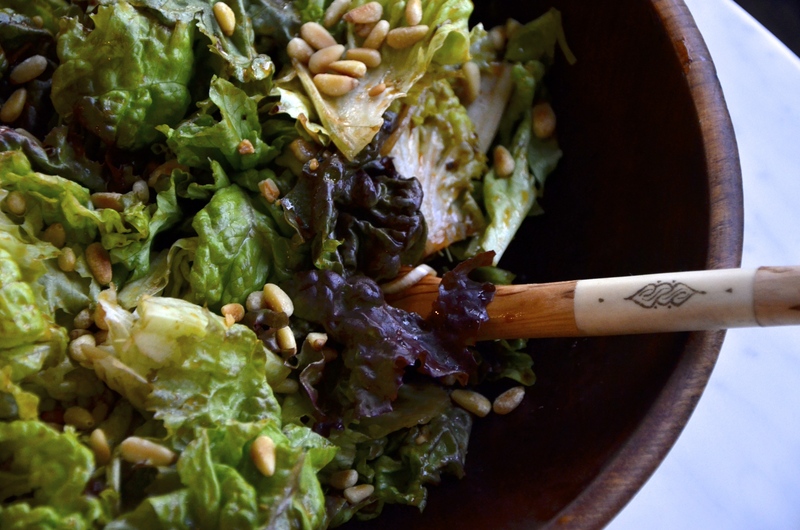 Serve over tender greens with any toppings that come to mind – toasted pine nuts, green onions, shredded carrot or sliced cucumbers.